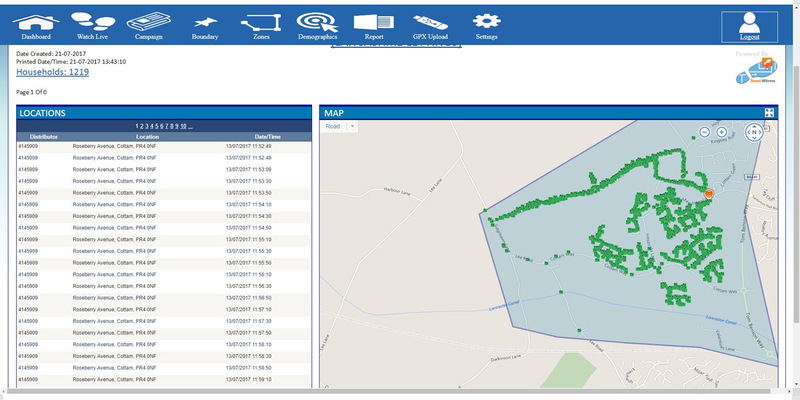 We are based in the heart of the Northwest and we offer a professional and reliable GPS tracked leaflet distribution service, which is trusted to deliver your marketing material to your target areas. Wherever you are based in the North West we can help you with an efficient delivery service, that will help your business gain that competitive edge on your rivals. 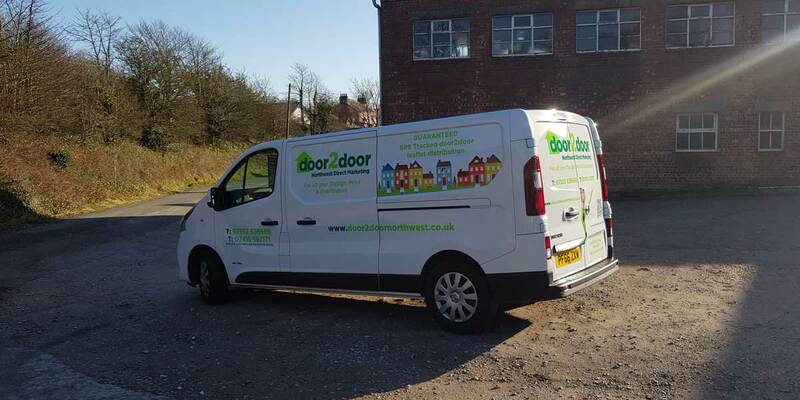 Door 2 Door Northwest guarantees that all leaflets will be delivered on time to the customers time scale and professionally to maximise results. Door 2 Door Northwest can provide different packages to suit different business needs. We offer competitive design, print and delivery packages. 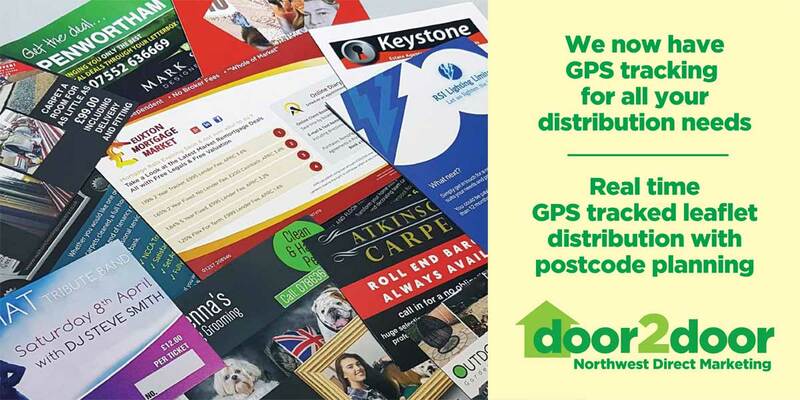 Take a look at some of our happy customers testimonials and learn how they benefitted from our printing and leaflet distribution in Lancashire. We cover all the Ribble Valley, Preston, Clitheroe, Fylde Coast, Blackburn, Hyndburn, Pendle, West Cavern and the rest of Lancashire. We also offer tailored packages to suit your budget. The areas we cover are from the larger towns of Preston, South Fylde, Blackburn to the market towns of Clitheroe, Whalley, Longridge, Garstang taking in smaller semi-rural villages of the Ribble Valley including the Trough of Bowland. 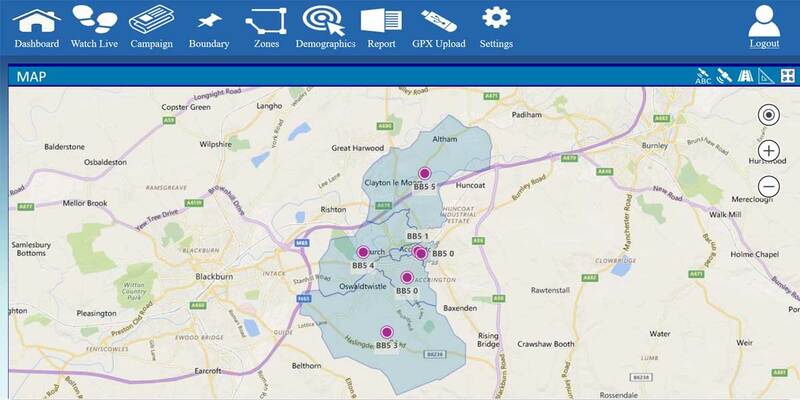 Your leaflet can be delivered either Solus or on a "share plan" with no more than 3 other non-conflicting leaflets. Our hardworking local distributors who are honest and work to the highest standards to ensure that your marketing material gets delivered to your targeted hamlet, village or town and on time. Leaflets can be collected from you or your printers and stored in our secure storage or you can arrange to have them dropped off at your convenience. Door 2 Door Northwest can provide different packages to suit different business needs. We can offer competitive design, print and delivery packages to meet your budget. Our team can design and produce full colour double sided leaflets, leaflets to more complicated brochures at competitive prices. Printing offer: 5,000 A5 double sided full colour on 150Gsm Just �95.00 no Vat.